BlackBerry adds that its BBM teams "continue to work around the clock to bring BBM to Android and iPhone, but only when it’s ready and we know it will live up to your expectations of BBM." 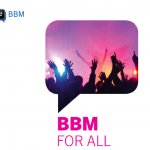 Consequently, BlackBerry has halted the global rollout of BBM for iOS and Android. BlackBerry has pulled BBM for iOS from the App Store, particularly for customers in the Asia-Pacific region, where the app had been made available. Customers who have downloaded BBM for iOS can continue using the app. As for those who have downloaded the leaked BBM for Android app, BlackBerry notes that the unreleased Android app is going to be disabled. "As soon as we are able," BlackBerry concludes, "we will begin a staggered country roll-out of BBM for Android and continue the roll-out of BBM for iPhone." BBM for iOS and Android was announced by BlackBerry last May and scheduled to be released before the end of this summer. It was confirmed to launch in the nick of time this weekend. But on account of its having hit a significant snag, BBM for iOS and Android apparently has been delayed to a different season of the year. Sorry, folks. 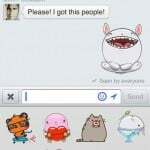 No "BBM for all" just yet.